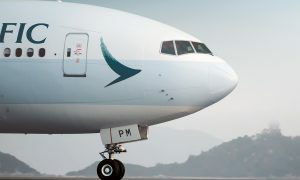 Cathay Pacific Airways announced that it will expand its freighter services into Latin America by launching a thrice-weekly scheduled service to Mexico City on 1 March 2014, subject to government approval. The Mexico City service will operate on a Hong Kong – Anchorage – Los Angeles – Mexico City – Guadalajara – Anchorage – Hong Kong routing every Tuesday, Thursday and Saturday, using Cathay Pacific’s newest and biggest freighter, the Boeing 747-8F. 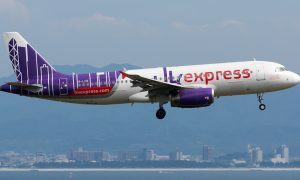 The service will meet growing demand to move a wide range of commodities from Latin America and the United States to various parts of Asia, providing shippers with greater choice and flexibility when connecting to Cathay Pacific’s international cargo network through the Hong Kong hub. Mexico City is the largest city in Mexico as well as being the country’s political, cultural, economic and financial centre. It is also one of the most important economic hubs in the Latin America region as a whole. The Boeing 747-8F aircraft offers more cargo space to carry the anticipated high volumes of auto parts, electronics, garments and perishables from Asia into Mexico City. 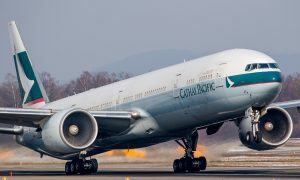 The state-of-the-art Cathay Pacific Cargo Terminal at Hong Kong International Airport enables the airline to offer a full range of services for high-value cargo such as pharmaceuticals and perishables. Mexico City becomes Cathay Pacific’s second destination in Mexico following the launch of freighter flights to Guadalajara in October 2013. 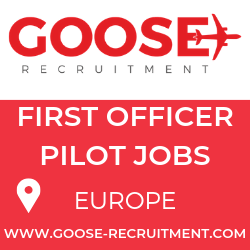 The airline currently operates cargo services to 11 destinations in North America and flies to a total of 43 freighter destinations around the world. Cathay Pacific recently took delivery of its 13th Boeing 747-8F freighter aircraft, with one more on order for delivery in 2016.